Welcome to Marion County Public Schools! If you are looking for an exciting and energetic opportunity to help students become the best they can be, WE are the answer. At Marion County Public Schools, our teachers are passionate about educating our future leaders, and that's why we want YOU in our classrooms. We are looking for energetic, talented, compassionate individuals who are dedicated to educational excellence. That's what our students deserve and that's what we deliver. 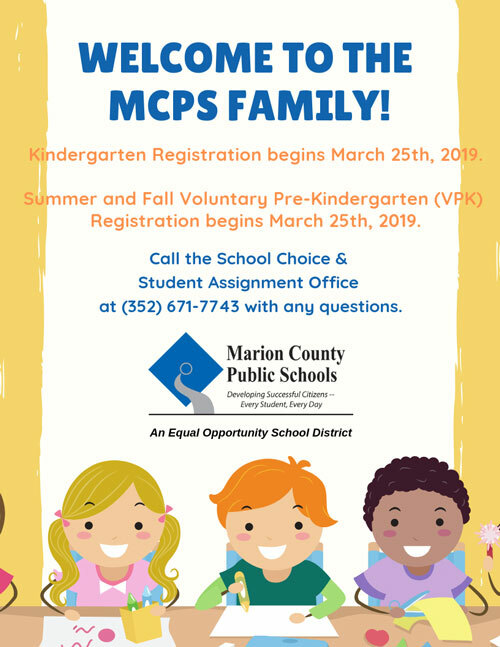 For more information, check out pages listed on the left or call Rosemie Korpi at 352-236-0512 or email recruiting@marion.k12.fl.us for more details.